Search engine optimization is the most cost-effective way to market your business today! Most searchers click on a first page results only. You always want your Web site to rank in the top 10. It takes time for this, about 6 months on Google and roughly 3 months on the other search engines. 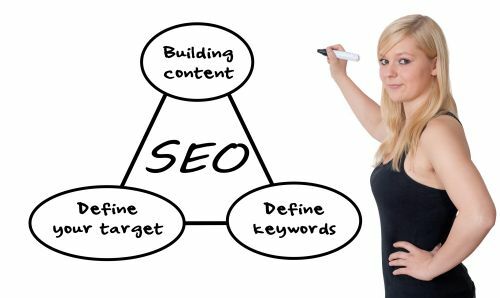 Let our SEO professional help! Search Engine optimization will bring more traffic to a website than any other form of advertising. Having a nice website without optimization is like having a billboard in the dessert! SEO will help you get 1st page rankings on Search Engines! SEO will help you generate more traffic and business! SEO will help you get new customers! You get our professional search engine optimization (SEO) services designed to get your Web site listed on the first page (top 10) of search engine rankings. One of the most overlooked aspects to any successful web presence is search engine optimization. Our team is fully dedicated to your business success. We offer free unlimited expert support and dedicated professional marketing consultants.